DUBAI, UAE - Oct. 10, 2018 - PRLog -- Leviton today announced the appointment of Shady Youssef to Managing Director, Leviton Middle East. Shady started the new position beginning of this month replacing Aldo Strawbridge who will be retiring effective 31st December 2018 will remain until the end of the year to support Shady ensuring a smooth transition, after which Aldo will be returning to his home in the UK. 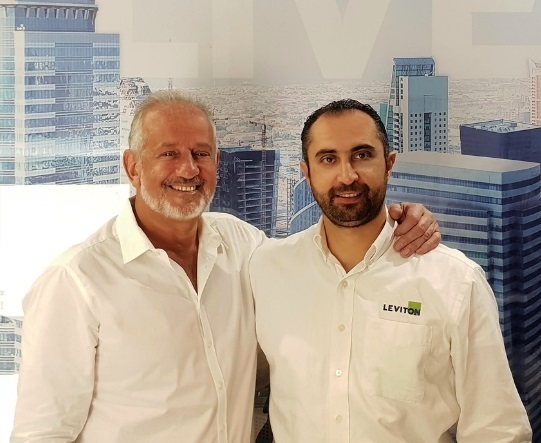 "We are excited to have Shady's leadership to further build and develop the Leviton Middle East team" said Bruno Filio, Leviton Vice President of International Sales. "With over 12 years of professional experience in the Middle East in Network Solutions and Data Centers for major industrial and commercial projects, we look forward to having Shady's expertise and leadership to continue to drive overall growth and success for Leviton Middle East." Shady's previous role as LME's Regional Business Development Manager has been instrumental in growing and developing the Leviton brand, creating awareness and delivering strategic transformation across the regions of Lebanon, Jordan, Iraq and Egypt in the Middle East. His market knowledge, experience, energy and no non-sense approach brings outstanding leadership to Leviton. Leviton is confident that with this appointment, Shady will create great value, support and innovation to LME and its customers.